Mastering rock guitar requires a solid foundation. This lesson covers electric guitars and how they differ from acoustics. Brad explains pickups, amplifiers, changing the strings, effects pedals and more. A very valuable lesson for someone moving into the world of rock guitar. Chapter 1: (02:10) Intro and Welcome Brad plays a surreal and cool sounding electric guitar tune and welcomes you to the lesson in this first segment. Even though you have most likely gone through phase 1 lessons Brad is going to begin his series by going over the parts of the electric guitar and the accessories you need. Chapter 2: (08:22) Parts and Buying There are many differences between and acoustic and electric guitar which can make buying or owning one a bit confusing for newer electric player. Obviously, the first thing any aspiring rock guitar or electric guitar player needs is an axe to shred on. There are many sizes, shapes and types of electric guitars out there. For your first guitar, one of the most important things is going to be price. If you buy one and quit within a month it does not make sense to spend $600+ dollars on a guitar. There are many great guitars out there at a low price these days. You can even get a nice Fender Stratocaster for around $300 that will never do you wrong. It is easy in this day and age to buy a guitar online and save your money, but we highly recommend that you go to stores and play any electric guitar you are interested in prior to buying. They all sound differentl, feel differentl, and two similar looking guitars may feel vastly different in your hands. Make sure to get one that is comfortable for you to play on. A good test is to make sure you can easily do a barre chord on a guitar, if you cannot because of the neck shape or width it will not likely be a guitar you will keep for long periods of time. If you find one that you like then you can purchase it in store or go home and find the best dealing for that particular instrument online. Single coil pickups generally have a clean and crisp sound and are great for playing lead among many other things. Some famous players of single coil guitars (such as the Fender Stratocaster) include Jimi Hendrix and Eric Clapton. One of the negative points of the single coil pickup is that it is more susceptible to hum. The Humbucker pickup uses two coils instead of one, and was originally designed to prevent electrical “hum” from being picked up. The Humbuckers can produce a different sound, and in general players who are looking to go into the heavy metal vein prefer humbuckers. They can be used for any kind of music though, and higher end guitars will have a switch to turn off one of the coils on the humbucker to make it act as a single coil. Players such as John Lennon and BB King are famous for using guitars with Humbucker pickups. Make sure to purchase a guitar that is shaped in a way which is comfortable for you to play. There are many zany guitars out there with really cool looking and crazy designs, however many of these are not ideal for beginners. Find a guitar with a shape that allows you to set the body comfortably on your leg without falling off. Fender Stratocasters are generally a very comfortable guitar to play. The electric guitar has more parts and is generally a more complicated piece of equipment when compared to it's acoustic counterpart. The nut comes directly after the head, tuners and tuning pegs and is what holds the strings in place. A nut generally has small indentations for the strings to lie in which serves two functions, it keeps the strings elevated and not touching the guitar and helps keep them straight to produce good tone and intonation. There are different nut materials that you can purchase, but this is not a major decision. Brad prefers graphite nuts because they are more durable and look nice. The neck is the thin piece of wood running from the head to the body of the guitar. On the neck you will find the fingerboard, frets and markers. The material on which the fingerboard is made out of can cause changes in sound, so be sure to try out different guitars and figure out which kind of wood you prefer. The frets are without a doubt one of the most important parts of the guitar. The frets are the small bars which run up and down the neck of the guitar. You change the pitch or note of the guitar by pressing the string down near the fret. Frets can vary in size and shape, so it is very important to find a guitar with frets that are not too higher or too large for your preferred playing style. The frets are numbered 1, 2, 3, 4, 5 and on from the head to the body. The first fret is the closest to the nut of the guitar. Some guitars have 24 frets but the most common is 22 fret, so unless you have a compelling reason to purchase a 24 fret guitar your best bet for a first guitar is a 22 fret. The body of the guitar is the biggest part and contains the electronics, tremolo bar (if present), pickups and the tone and volume control knobs. The shape of the body can vary substantially and is mostly based on personal preference. The neck can be held onto the body by either bolts or glue. The glue method creates a richer sound. The bridge is where the strings touch the guitar again. The strings do not touch the guitar at any point between the nut and bridge unless the player presses the string down. The bridge is very important for tuning and can also be adjusted to get proper intonation. Most quality guitars will come with a good bridge so you should not have to concern yourself too much with this aspect of the guitar. The bridge sits inside the saddle. An electric guitar generally has 6 strings made out of various kinds of metal. The strings run from the tuning pegs over the nut down to the bridge. There are many different sizes and types of strings and which strings you prefer will be entirely up to personal preference. However one thing to note is that the thicker or higher gauge strings you get the harder it will be to play, so we generally recommend beginners use 9 or 10 gauge. The function of the pickups is to take the vibration of the strings and send them electronically to your amplifier. Guitars can have different numbers of pickups in different positions on the body of the guitar. The reason for this is the sound changes depending on where they are located. As discussed earlier choosing pickups is based on personal preference and play style and is a extremely important choice when purchasing a guitar. The knobs control the electronics on your guitar. They allow you to boost the volume and control the tone. If you have multiple pickups there will generally be a selector switch which allows you to choose which pickups are being used. This gives great versatility as far as sound goes. The Tremolo Bar is often referred to as a "Whammy Bar". The bar allows you to add vibrato to your music. Not all guitars have Tremolo bars, and for your first guitar it may be a good idea not to have one. They can make the guitar more difficult to maintain and tune, and if you do not have need of one it will just be a hassle. The strap locks hold the strap onto your guitar and prevent it from sliding off while you are playing in a standing position. These are the basic parts of the electric guitar and some tips to follow when purchasing one. Chapter 3: (05:39) Basic Amplifier Now that you have an electric guitar you need the accessories that go along with it. Electric guitars require more to use then a standard acoustic. Obviously an amplifier is a necessity for playing the electric guitar, as without an amplifier the strings would not be loud enough for anyone to hear more then a few feet away. There are many different types of amplifiers out there with tube and solid state being two of the most popular. For a beginner a lower pricedcombo amp is most likely the best choice. A combo amp has the speakers and electronics built in and they are generally small and easy to transport. Don't think buying a smaller combo amp is going to hurt you either, as many of them can play quite loud, in fact loud enough to do anything but put on a concert. It would be preferable to get an amplifier with effects such as reverb, delay, flange and chorus built in as they are necessary and would save you the added cost of buying pedals before you need them. A 20w amp would be a good starting area. There are many settings and knobs that are on an amplifier and they can be quite confusing. The volume knob controls the overall volume of the amplifier. This is the main volume control. The gain knob controls how much gain you are using. The more gain the more the sound gets the crunch/distortion effect that many electric guitar players crave. The second volume knob controls the volume of the amplifier when you are using distortion. The bass knob adjusts the amount of bass on the amplifier. Bass is the low part of the sound. Turning it up will add more "oomph" on the low end. The contour knob can help give you different tones and controls lows and highs within the song. This knob is completely individual taste so all musicians should play with their amplifier until they get their desired sound. The treble knob adjusts the treble of the amplifier as you might expect. Turning up the treble brings out the highs in the amplifier. Too much treble can give the amplifier a tinny sound, but too little will cause loss of clarity. The optimal point for treble adjustment is based on user preference. The presence knob is similar to a volume control but causes the sound to project farther out of the amplifier. Most combo amplifiers have a knob which allows you to choose effects, and then a second knob which selects how much of that effect you want to use. For instance, if you choose the Delay setting on the amplifier Brad is using it will activate the Delay effect, and if you adjust the other knob it will make the delay longer or shorter. After you buy an amplifier the next thing that you need to get is a cord to connect your guitar to your amplifier. It is worth it to buy a really nice shielded cord as it can prevent unwanted noise and hiss. To protect the life of your amplifier please be sure to plug it into a proper outlet of the proper voltage and make sure your power cord always stays in good condition. Amplifiers are very sensitive to electric current and you would not want to damage your equipment. Chapter 4: (03:01) Advanced Amplifier If you are playing in a band where you need to play louder then your drummer or any other situation where volume is key you will most likely need a more powerful amplifier. Most profession grade amplifiers come in two pieces, the electronics or "head" and the speaker cabinet. The head contains all of the electronics and effects for the amplifier. Think of the head as a cd player and the speaker cabinet as the speakers. All of the work is done in the head and is pushed out to the speaker cabinet. There are many different kind of heads. In this example brad shows a valve state head which means it is half solid state and half tube. The knobs on the head are basically the same as on the basic amplifier, so it is not necessary to cover them again. This type of head requires a speaker cabinet. Always make sure the impedance of your head is identical that that of the speaker cabinet you choose or you may damage it. Buy a speaker cabinet that is similar in wattage to that of your amplifier as well for optimal performance. To protect your amplifier make sure to never turn it on without the cord plugged into the speaker cabinet. Always make sure you are plugging your amplifier into the proper electrical source as well. Chapter 5: (04:43) Effects Pedals One of the greatest things about the electric guitar is the sheer versatility of it. By using effects pedals you can customize the sound of the guitar to your liking. Effects pedals are a great addition to any guitar players toolbox, even if their amplifier has built in effects. The reason for this is that you can generally only use one effect from your amplifier at any given time but there may be situations where you want to use two, three or even more effects. Pedals are also very easy to turn on and off while you are playing. A great advantage of pedals is that you can buy them as you need them instead of having to buy a large array of pedals at once. You can for instance start out with a delay unit and a chorus without being required to buy anything else. The delay pedal is one of the coolest effects out there. The delay pedal lets you have a note repeat after it is played. 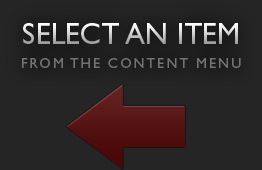 You can select how many times you would like it to repeat and how fast or slow you want it. Think of it as adding an echo to the guitar. This can make it sound as if you are playing faster then you really are. You can combine two different delay pedals for interesting sound effects as well. The chorus pedal thickens up your guitar and makes the distortion sound a bit smoother and adds a shimmering like sound. Many bands from the 80's made heavy use of the chorus effect. The wah-wah pedal is very self explanatory. As you are playing you push down the pedal and get a "wah" effect. You can press it slow or fast to vary the length of the 'wah'. When you push the pedal down it brings out the high end of your guitar and when you pull it back it brings out the low end which is what creates this signature sound. While not being an effect it is a great idea to have a tuner with all your pedals. It makes it very easy to tune your guitar and is especially handy for playing shows. Players in a band may wish to get a fat boost pedal. Basically, if there is a part in the song where you need to play louder then everyone else you can activate the fat boost pedal which will give you an on demand volume boost. All of these effect pedals can function on battery power, however it is more economical to use a power source. If you have to change batteries for every pedal often you will end up spending a small fortune on batteries. Brad has a power source built into his pedal enclosure, and if you become serious about music you may want to do the same. Chapter 6: (04:09) Sample Effects In this chapter Brad Henecke will play through all of his effects pedals to give you an idea of how they sound when in use. Chapter 7: (04:01) Supplies and Care There are some small supplies that are a necessity for any guitar player. Guitar picks come in many different shapes and sizes. They range from extremely thin to thick. Brad prefers a heavy pick because it feels as if he has more control. The size of guitar pick you choose is heavily dependent on personal taste so you will need to play around with various sizes of picks. There are also many different materials that guitar picks can be made out of, which again will come down to personal preference. Brad actually uses picks that are made out of tortoise shell so you can get some idea of just how many different kind of picks there are. There are also different kind of picks, for instance finger picks which go on your fingers for finger picking. Your guitar obviously needs strings. Guitar strings come in many different sizes, gauges and materials and are made by many different companies. Generally beginners will appreciate a lighter gauge string as it allows them to play easier, thicker strings can create a richer tone but are a good deal harder on the hands. Strings are a matter of personal preference and your preference may change as you become more versed in the world of guitar. To change your strings you will of course need a set of strings. There are however a few other accessories that you may wish to purchase to make your string changing experience easier. A string tightener, wire cutters and guitar polish are all very handy to have during the string changing process. Chapter 8: (02:55) Removing the Strings Now that Brad has covered the guitar, the amplifier and the supplies you need to maintain and care for your guitar he will begin showing you how to change the strings on your guitar. Removing the strings is a fairly simple process but there are ways to do it quicker and easier. The first step is to take the guitar and set it down on something. If you do not have a table to lay the guitar on, you can hold it upright and set it on your foot so it is not touching the ground. This is done to prevent scratching. After that take the 6th string (low E string) and begin twisting the tuning knob to loosen the string. If you do not know which direction to turn the knob to loosen the string pluck the string while turning it, the lower the sound gets the looser the string is. Keep turning the knob until the string gets loose, similar to a loose rubber band. It will get to a certain point that you can just pull the string off and pull it through the hole in the turning peg. After that, turn the guitar upside down and push the string through the bridge and saddle so it comes out the back of the guitar. Repeat the removal of the other strings in the same fashion. If you have a guitar with a tremolo bar you may wish to take a piece of cardboard or some other object under the bridge so that when the strings are taken off the bridge it does not scratch up the finish of the guitar. Chapter 9: (03:46) Cleaning Your Guitar While you have the strings off of your guitar you should take this time to clean and maintain it. Taking care of your guitar is very important and will insure that it is in prime operating condition. It's best to think of your guitar as a machine and not a toy. It is a good idea to get a can of guitar polish and clean the body of your guitar while the strings are off. Make sure to cover up your bridge, pickups and the back of your saddle so as to prevent moisture from causing damage to the sensitive parts of your guitar. It is best to use a very soft cloth to wipe off the polish, a micro fiber towel is ideal. To take care of the neck we recommend you get a product that is meant for the neck. They are designed to revitalize and protect the wood. If you do not have that you can simply use a soft cloth or polish. It is a great idea to keep the neck clean, especially dirt that may accumulate around the frets. It's also a good idea to clean the back of the neck as well since it gets much grease from your hands. Chapter 10: (05:18) Changing the 6th/Low E String Now that the guitar is cleaned, polished and ready to go we will change the Low E/6th string. The guitar strings that you purchase should either be color coordinated or marked in some way to help you know which string is which. If your strings are not marked, just remember if you are holding the guitar as if you would play, the string that would be on the very top is the Low E string which is also the thickest. So go from the thickest to thinnest and your guitar will be properly stringed. When you are unwinding the string be sure to do it carefully so you do not put a kink in it. Take the guitar and turn it over and slide the end of the string without the ball through it pulling gently from the other side until the string is all the way through. Double check to make sure that you put it through the right hole. Make sure the ball is pulled all the way through the back and then turn the guitar over. Take the guitar and set it on a table or down on your foot, taking care not to scratch the body. Turn the tuning peg so that the hole lines up with the body of the guitar so you may simply run the string directly up and through the hole. Pull the string all the way through the tuning peg and get it so that it is tight. Make sure that the string is aligned with the groove in the nut. Make sure there is around 2 inches of slack below the nut so that you have a small area to wind the string. Now tighten the tuner until the string wraps around roughly 1/3 a turn and bend it back in to prevent it from slipping. Now simply tighten the string until it is snug, don't worry about tightening it all the way as you can worry about that during tuning. Make sure the string winds underneath itself for maximum grip. Chapter 11: (04:38) The Rest of the Strings The 5th (A) and 4th (D) strings are done in exactly the same manners as the 6th string so please proceed to do them. The 1st, 2nd and 3rd strings are slightly different so please pay close attention. The 3rd, 2nd and 1st strings are added to the guitar in a method that is similar to the 6th string. In fact, it is the same up until you get the string through the tuning peg. Put the string through the hole and pull it tight as usual, making sure the ball is tight in the bridge and the string is in the right position on the nut. Leave about 2 inches of slack behind the nut again and tighten the tuning peg roughly 1/3rd of the way around and bend the string back so it doesn't slip out. Now, after you have tightened the string a bit (a half turn around should do) take the end or tip of the string and wrap it back around itself by going over the string and then back around under. Again, make sure the string tightens around the tuning peg downwards, underneath everything. As you can see the only difference in changing these strings is that there is an extra bend of the string on the tuning peg to insure it stays tight. Please see the video for a demonstration of this in action as it is very difficult to describe. Adding the strings to the 2nd (b) and 1st (high e) strings is identical to the 3rd (G) string aside from the fact that some guitars will have a string peg holder in which the strings will need to be placed under. It's very easy to do and should not cause a problem. Chapter 12: (01:57) Final String Changing Steps With the strings all properly on the guitar the last step is to remove the leftover string from the tuning pegs. This is done to prevent scratches or injury. All you need to do for this step is take your wire cutters and cut the remainder of the string off. Leave about 1/4 of an inch or so. This is a very simple process and should require no further instruction. Chapter 13: (01:29) Final Thoughts and Credits Congratulations! 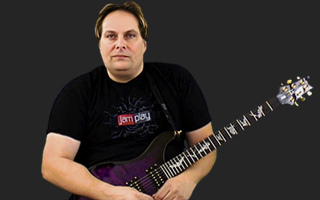 You have made it through Lesson 1 in the Rock Guitar series with Brad Henecke. Now that you know all about the parts of the guitar and changing the strings you are ready to whip out your guitar and start rocking out. We'll see you in episode 2! My first Jam play lesson! Wishing for a long and successful journey. I have the Etuner system with my Les Paul. Would have liked to seen a demo on it changing the strings. Great introductory lesson Brad. Been about 30 years since I took any lessons so I thought I would start at the beginning. Very helpful! Changing one string at a time can save you time in resetting the tremolo if it gets out of wack. Not too much of a problem on the strat type trems. If you ever tried re-tuning a floyd rose after you taken all strings off, it can be a real pain. Changing one string at a time on floyds can save tons of time and frustration. Hey ! Thanks for the string changing method. It's simple and efficient ! could you post the tabs of the song your were playing at the begning of the lesson Brad?????? Recently bought a pack of DAVE picks ( Jazz ) nice textured grip & about 1.5 mm thick - btw Brad you say ' um ' as long as you like mate ! i was having a query about what type of electric guitar should i buy ..... i mean will a fender bullet strat do the job or some else... for the amp i have the same which u have shown in the basic amp section(Marshall) ... i also wanted to ask that with having a marshall amp do i have to get pedals and all that stuff?? pls do post ur suggestions....Thanks. URGENT!!! The video is not showing up on my screen. Either get it fixed or stop my payments! I have a eq burn unit which allows me to play clean as well as distortion. Can I hook up a chorus pedal to it and use both during the rythem section o the music? Brad , excellent lesson. Thank you for the very straight forward nonsense approach to teaching. Do you have to have an electric guitar to play rock music? Will an acoustic guitar still work? Having played for a # of years I still found Lesson 1 to have a some solid nuggets of intel. I really like that Scene 1 intro! Sounds like a Van Halen type riff with chorus effects ... love to see that TAB'd! Best overall intro to electric guitar & accessories I've seen - great job man! Brad, Thanks for these Great lessons.I bought my son two guitars (Dimebag dean and a les paul- zakk wild) And also two amps (Marshall MG30dfx- crate GLX30) and he's played them once ,never pick them up again.So Im gonna learn to play,I ran across Jamplay on youtube and became a member Im looking forward to learning from you.Keep up the Great work! The tuning keys o my guitar are not the type with holes but notches. Any clue on how to string these? Everytime I think I've got it I go to tune it and the slip out of the notches. Enjoy the ride! Let me know how things are going. Hey Brad, I saw you just went ahead and took all of the strings off the guitar. I heard elsewhere, that taking them all off at the same time is bad for the tension on the neck. Is that true, or really matter? Hi Brad; I join Jamplay after watching your free lesson. I really apppreciated the fact that you went over amp settings. Currently I have a Marshall that's more advanced than what I am in playing, and the owner's manual didn't really explain that much. Kudos m'man! I think your lessons are awesome. Hi Brad, Thanks for the lessons. Few basic questions: 1. How often should I change the string on the guitar? How do I know it is the time? 2. How do you you pick the strins gaige? I know on most electric guitar you should use 009 strings set while on les paul guitars you should use 010, as well as on an acoustic guitar. Can you comment on that? Thanks. How often you change your strings depends on how often you are playing. If you play a lot you will want to change them more often .Listen to the strings if they sound dull or the brightness is gone change the strings .If the strings are frayed or dirty change the strings. There are some products out there that help prolong the life of the strings .Go to a music store and ask what to use. Try some of the products to see what works best for you. String gage depends on what you are going for .I use a 009. -042 on my electrics guitars The lighter gauge string makes bending a lot easer .If you use a heaver gauge string bending is harder but your tone is better .If you want to play slide guitar a heaver set would be nice . You can use a 009. On a Les Paul. It just depends on how you set the guitar up . What ever gauges you get you need to set your guitar up for that gauge. If you donâ€™t know how ,take it to some one that knows how to set a guitar up. Acoustic you need to have about a 011.or a 012 .some times a 010. Is to light .Then again it needs to be set up. Hi Brad, Nice lesson. In chapters 5 and 6 about the effects, I 've been trying to setup my ZOOM G1X pedal to sound like your Chorus pedal and there is no way to sound like yours. Do you have turnned on distorsion and chorus. It will be nice if you or some other instructor in Video Q&A give us some tips about setting the ZOOM G1X pedal. HI bator82. I'll try to answer your questions best as I can. First off what I probably should have said in the video was the smaller combo amps are more for practice and not for a band situation. I would definitely look at a larger combo amp. Combo amps are easer to carry around. The amp you decide to get will depend on what kind off music you want to play and what you want to sound like. If price is a factor you may want to look at some of the solid state amps, the valve state Marshal combo’s, or VOX valvetronics combos. They have amps in the 50 to 120 watt range that are really nice and have effects that are built right in the amp. The differences between the distortion knobs, gain, and overdrive. Distortion: adds distortion effects that you hear in rock and roll, that grind sound. Gain adds more sustain and it will push the amp a little harder and add some volume. Overdrive basically boost your amp adding volume, sustain, and distortion. This is very hard to describe unless you try out the differences. The reason I bought the Boss digital delay was I like the sound, it is very versatile, and it is easy to understand how to use. The reason I bought the Dan-electro is because it has an effect on it that you can cut back the highs on the delay itself that will make the delay sound more like a old tape delay. I like the sound of the old tape delay because they are more spacey sounding and they sound more analog. The reason I bought two is that I like a short and a long delay, on one I set a short slap back (Boss) delay and on the other I use a long swooping delay (Dan-electro). strap locks are great. I wouldn't leave home with out them .Dont ever wan't to drop my baby . That was a great lesson, very informative! What kind of amp should someone who is playing in a small garage band get?